One of the things that drew my husband and I to Big Canoe was all of the philanthropy that is associated with the community. One of our favorite events will be this week on the 20th and 21st. 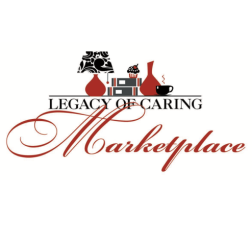 The Legacy of Caring Marketplace is one of the most successful fundraising events that benefit charities that focus on the well being of women and children right here in Pickens and Dawson counties. The two-day event will have artisan vendors, a classic car show as well as four musical performances. This event is free, so come out and support a great cause. See you this weekend.